As with raising children, secure and healthy marriages are considered as much the responsibility of the community as the couple. To this end, the construction of the venue is a community endeavour. Prior to the wedding, the men of the community construct a marquee using coconut boughs. The groom is forbidden from participating in the construction of the structure, but obliged to supervise the work and subject to many taunts and jokes! The construction of the marquee is an all day event, accompanied by food and music. Curried goat is a staple on the menu of traditional Jamaican weddings. The prospective bride and groom select the family who owns the herd from which the goat to be eaten will be taken. The choice – which signifies trust and ‘good vibes’ – is of great significance and often fuels much gossip! Once chosen, a kid from the herd is isolated and tended on the bride’s familial land. This information is generously provided by Alisha Fuller of Hummingbird Hall in Jamaica. If you are considering getting married in Jamaica, please visit their website for wedding options. You are welcome to email us at info@weddingdetails.com with any suggestions for changes, additions or deletions. 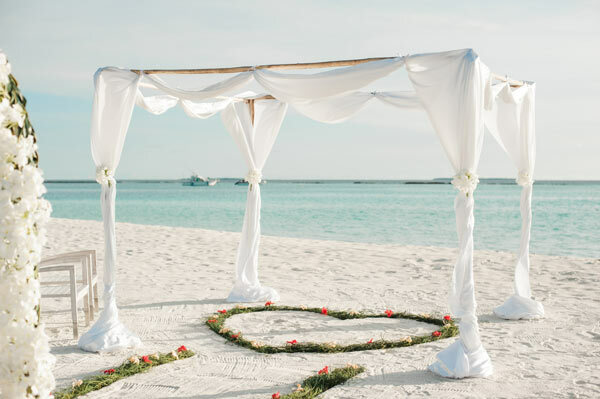 Your wedding venue is the background to your special day. Part of finding the right wedding venue involves determining if it is large enough to fit your invited guests, if there is adequate space for your wedding party to get ready, the potential photo opportunities, and so much more. The proposal is one of the most romantic events of your courtship, but your wedding is often filled with a variety of details. Our wedding planning tools can assist you through the planning process, by offering you the guides and reminders to make sure that nothing is left undone for your big day. Planning your big day but unsure what you want to include or exclude? Having trouble coming up with a theme that embraces you as a couple? We can help by offering you a variety of option, from heritage-based weddings to themes related to your favorite hobbies. Our team has scoured the country to get you the details for bridal expos in your area. Finding a bridal expo can give you the opportunity to address multiple parts of your wedding planning, including food, dresses, and cakes, in one place. Using our guide, you can advance your wedding planning, while seeing what options are available in your area.